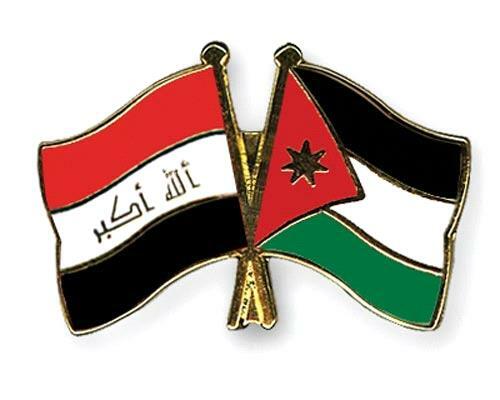 AMMONNEWS - Speaker of the Lower House of Parliament and head of the Arab Parliamentary Union (AIPU), Atef Tarawneh, said Jordan and Iraq have made important strides on the way to strengthen bilateral relations to serve the two brotherly peoples. He said: "Amman and Baghdad will not be dissuaded from achieving their goals in a complementary case that meets aspirations of their leaders and their common interests". The tangible and accelerating progress in the relations between the two countries prompts us as parliamentarians to continue efforts to create an appropriate environment to implement signed agreements, or the prospective ones, Tarawneh pointed out. Speaking during his patronage today here of the activities of the Jordanian-Iraqi Parliamentary Forum, dubbed "Towards Broad Prospects for Economic Integration," he said our tasks need solidarity and building unified positions, with which we will overcome the obstacles and counter difficulties on the road to achieve a promising economic integration for Jordanians and Iraqis who have long shared wounds and were always the title of Arabism in the highest sense. He continued: Iraq has suffered a long time from terrorists, and terrorism has hit hard in the country, but unity of its internal front has defeated the scourge of this phenomenon, so that Iraq has recovered after years of weakness and fragility. He noted the success of Iraq's political process, the formation of the government, and the unity of the Iraqi spectrum under the flag of Iraq, drive to complete the process of construction and restore Bagdad's natural role in the Arab nation, as confirmed by His Majesty King Abdullah II during his speech at the Arab summit in Tunis. The new openness in the Jordanian-Iraqi relations was the result of the efforts of the leaders of the two countries and a true embodiment of the will of the two peoples, he said, noting the economic agreements that have been resumed between the governments embody the bilateral long-standing relations. Tarawneh noted Jordan's keenness to harness its trade and economic expertise for the Iraqi side in the various fields in the road to reconstruction. He also stressed the importance of the forum in achieving economic integration between the two countries. For his part, Minister of Industry, Trade and Supply, Tarek Hamouri, affirmed the real will of the two countries to achieve tangible progress in enhancing their relations in various fields, especially in the economic and trade spheres. Hamouri noted the signed agreements between the two countries include mutual benefits for both countries, adding their results will be positively reflected on the two brotherly peoples. The establishment of a joint industrial zone on the border between the two countries aims to strengthen economic cooperation in various fields, especially in the trade and investment areas, the minister pointed out. On this future project, he said the establishment of the joint industrial zone achieves economic integration between the two countries and the creation of complementary industries capable of reaching all world markets. In turn, the Charge d'Affaires of the Iraqi Embassy in Amman, Khalid Khaizaran, said the bilateral relations witnessed a "qualitative" leap at various levels, which is reflected in the frequent visits and meetings between the officials of the two countries. The two Iraqi MPs, Falah Khafaji and Ali Saadoun, stressed the importance of agreements and memoranda of understanding signed between the two countries in building distinguished relations and achieving economic integration that serve the two brotherly countries.